The City of Mississauga is the home of 24 indoor rinks as part of 12 arenas close to you. We host several on ice activities such as hockey and skating programs. Don't forget - ice rentals are available for you to enjoy activities and fun on the ice! The City of Mississauga is the home of 24 indoor rinks as part of 12 arenas close to you. We host several on ice activities such as hockey and skating programs. Don’t forget – ice rentals are available for you to enjoy activities and fun on the ice! Choose from over 30 types of skating lesson programs to fit your age or skill level. 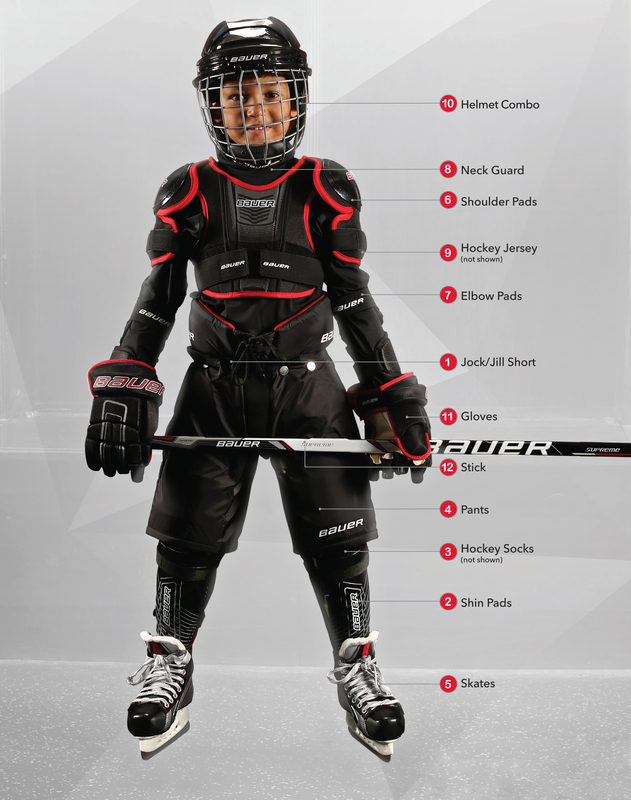 Learn all you need to know before your first day on the ice by watching our videos or reading the information below. Ice Skating Program Descriptions are here. Students previously registered in Junior, Intermediate and Figure Skating Skills and Teen Skating are asked to bring their progress card to the first lesson. The card will be returned at the end of the session. Click below to see Progress Reports. For Teen Skating, testing please view Junior and Intermediate Progress Cards, as testing is done using these requirements. Progress reports cards are not provided for Ice Skating 3-5 yrs with Adult, Ice Skating 4-5 yrs, Adult, Power Skating and Hockey Instructional programs. Find Hockey Program Descriptions here. Our expert instructors offer over a variety of hockey instructional programs throughout the year that will help you sharpen your competitive edge and focus on skills improvement, whether you are a casual or competitive player. The City of Mississauga is the home of 24 indoor rinks in 12 arenas close to you. Ice rentals are available for you to enjoy activities and fun on the ice! Accessible parking close to entrance. Pathway ramp leading to main entrance. Automatic sliding door at main entrance. Accessible universal washroom on ground floor. Low reception counter for people who use mobility aids. Elevator lift available to upper level, ask for key at the front desk. Accessible to warm & cold viewing area. Chic Murray Indoor Arena is located within Burnhamthorpe Community Centre and hosts a wide variety of programs such as Learn to Skate, public skating, along with many hockey and ringette leagues. Located within Burnhamthorpe Community Centre, Chic Murray Arena is the host to a wide variety of activities such as Learn To Skate, Public Skating, and is the home of Applewood Hockey Association of the Mississauga Hockey League. Accessible parking close to main entrance. Automatic doors at main entrance. Automatic doors at ticket entrance. Accessible washroom stalls in community centre section of building. Elevator access to warm viewing area. Accessible picnic tables at outdoor patio. These twin arenas are located inside Carmen Corbasson Community Centre. We offer seating for up to 150 spectators, a Pro-Shop, Concession stand and a meeting room accommodating up to 40 people. The rinks host a wide range of activities including Learn to Skate, Public Skating, Summer Lacrosse and Ball Hockey. Automatic sliding doors at entrance. Automatic door opener to cold viewing area. Platform viewing section available for patrons using mobility devices. Elevator available - ask for assistance to access arena change rooms. Located within Clarkson Community Centre, Clarkson Arena is the host to a wide variety of activities with 6 dressing rooms. Seating capacity for up to 530 spectators, Pro Shop and a Concession stand, and is the home of Lorne Park Clarkson Hockey Association of the Mississauga Hockey League. Automatic door operator at main entrance. Accessible washroom stalls on lower & upper levels. Elevator to upper level to warm & cold viewing areas for rink1 and rink2 (ask staff for assistance). Erin Mills Twin Rinks hosts a variety of programs including Learn to Skate, Ice-Hockey, Public Skating and more. The Arena has two 80' x 180 ice surfaces, Change rooms, Referee Rooms, Pro shop and a multipurpose room that accommodates up to 75 people. Elevator lift available to upper level warm viewing area. Part of the Huron Park Community Centre, Huron Park Arena hosts a wide variety of programs including Learn to Skate, Ice-Hockey, Public Skating, Summer Lacrosse, Ball Hockey and Indoor In-Line Skating. The arena has 6 dressing rooms, Seating for up to 900 spectators and a Concession Stand. Accessible family washroom on lower level. Accessible cold & warm viewing at all 4 rinks. Iceland hosts a wide variety of programs including Learn to Skate, Ice Hockey, public skating and more. The ice complex and high performance training facility includes four state-of-the art ice pads, an Olympic-sized rink (seating capacity for up to 1200 people), pro shop, snack bar, restaurant, meeting rooms, banquet and catering facilities. Surrounding the complex, there is a outdoor skateboard park, artificial sports fields, walking trails, picnic area, cricket pitch, spray pad, softball diamond and a leash-free dog zone. For accessible viewing, please contact the facility in advance at 905-615-4730 to make arrangements for a portable ramp. Meadowvale 4 Rinks hosts a wide variety of programs including Learn to Skate, Ice-Hockey, Public Skating and more. The arena has 4 large ice surfaces (85' x 185'), 23 change rooms, 4 referee/instructor rooms, Proshop, Concession and lounge and a Meeting room. Family accessible washroom on ground level. Accessible stalls on upper level. Warm viewing area accessed on upper level. Within the Mississauga Valley Community Centre, Mississauga Valley Arena houses a 180' x 80' single ice pad, Seating for up to 375 spectators, 6 dressing rooms and a concession stand. It is the home of the Heartland Dragons of the Mississauga Hockey League. The Paramount Fine Foods Centre (formerly known as the Hershey Centre) has become the premier sports and entertainment facility in the Greater Toronto Area (GTA). The Centre includes three NHL Regulation (85¿ x 200¿) sized rinks with spectator seating for approximately 275 spectators in each. The Rinks are the home to hockey teams in all of the major Mississauga/Toronto leagues. Current City of Mississauga rates and booking policies apply for ice rentals including tournaments and hockey camps. Ice is available from late August to mid-April. Floor rentals are available from late April to mid-August. The Community Rinks have hosted several major events such as Carassauga, North American Roller Hockey Championships, major GTHL tournaments, Little Native Hockey League Tournaments, Figure Skating Championships and will be the future host to TO2015 Pan Am and Para Pan Am Games. Accessible parking at lower entrance. 2 accessible on street parking spots on Stovebank Rd. Automatic sliding doors at lower entrance. Universal toilet room at lower level. Ramp access at lower level to ice surface. Elevator access to upper cold & warm viewing area. Warm viewing area with automatic door operator. Accessible washroom stalls on upper level. Automatic sliding doors at upper level. Automatic door openers at main entrance & into rink area. Accessible cold & warm viewing areas at both rinks. Tomken Twin Arena hosts a wide variety of programs including Learn to Skate, Ice-Hockey, Public Skating, Summer Lacrosse, Ball Hockey and Roller Blading and more. The arena has 2 ice pads, Seating for up to 150 spectators, a Pro-shop (open Tues, Sat, Sun), a Snack Bar and a Meeting room accommodating up to 40 people.